What a fun Friday! 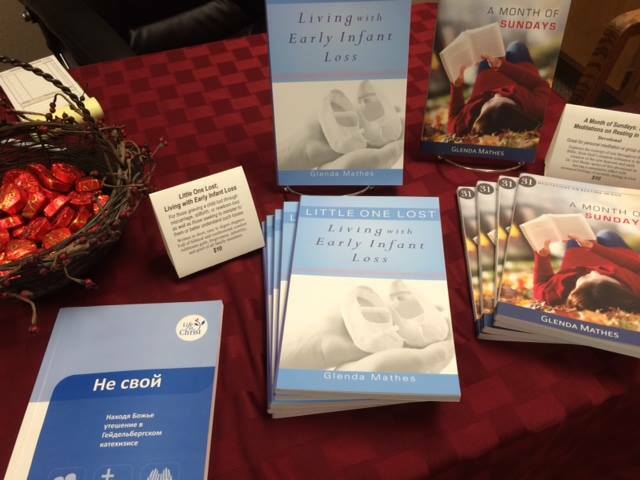 A radio interview and book signing doubled the fun during my local launch of two new books. 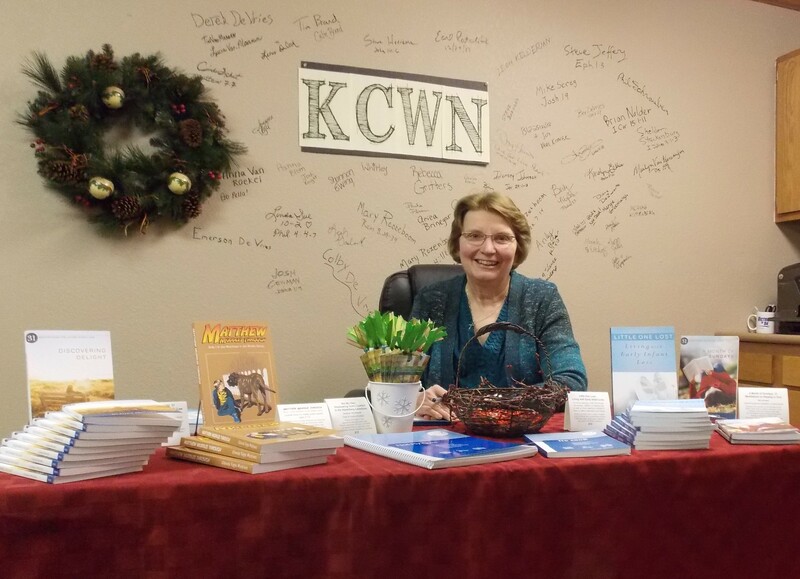 Between 10:15 and 10:45 yesterday (December 19), Patricia interviewed me on the local Christian radio station, KCWN 99.9. After that, I signed books during the station’s Christmas open house until 1:00. I want to thank General Manager, Bev De Vries, and DJ Patricia for their gracious hospitality. The station’s facility is decorated beautifully, and entering it feels like stepping into a welcoming home. Patricia made the interview completely painless. In fact, it was a lot of fun. 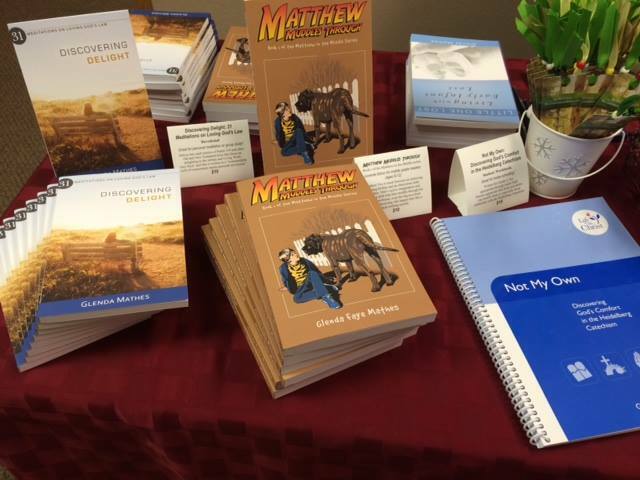 Growing up as the middle child in a pastor’s family, she felt a lot of affinity for my book-boy Matthew. Talking about him and the problems he faces in Matthew Muddles Through was a hoot. She shared her enthusiasm for the story with listeners. Bev De Vries took this picture through the production room window while Patricia and I were on the air. We then discussed my other new release, Discovering Delight: 31 Meditations on Loving God’s Law. She described it as going “deep” and we talked about the writing style, which Aimee Byrd called “a commendable style of commentary meets personal devotion.” Patricia and I also spoke briefly about Little One Lost: Living with Early Infant Loss and A Month of Sundays: 31 Meditations on Loving God’s Law. 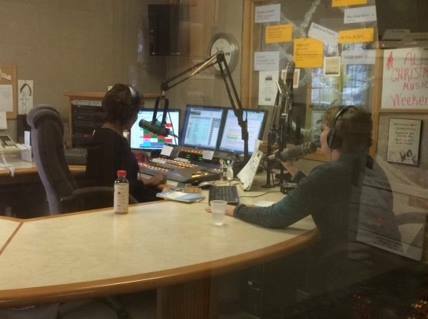 Before I went off the air, I had the opportunity to share my excitement about my current memoir collaboration project with Uriah Courtney, who was recently exonerated after more than eight years of wrongful incarceration. Book signings are always enjoyable. It’s great to meet new friends and experience the support of existing ones. The best kind of book signings are when a steady stream of people comes in and I have time to speak to each person individually. And this was one of those signings with wonderful opportunities to talk to individuals, including some people I hadn’t seen for years. I’m thankful for the doors God opens and I grateful he equips me to walk through them.